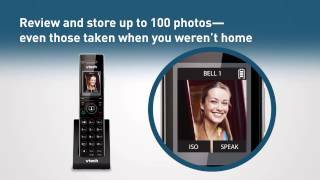 The first of its kind, this two-in-one cordless answering system and video doorbell combines a versatile phone system with a digital camera, for convenience and security at home. Like caller ID for your front porch, this video doorbell allows you to screen visitors before answering the door, without worry of being seen. 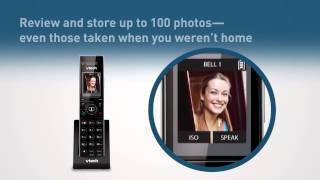 The IS7121-2 automatically snaps a photo and sends it to the handsets when visitors ring the doorbell. You can then stream video, audio or both with just two buttons. Many home monitoring systems are bulky and expensive, taking up valuable space throughout your home. 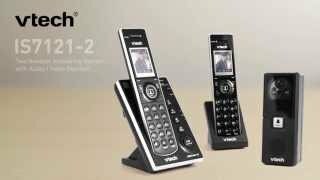 But with the IS7121-2, you get a fully featured cordless phone with top survellance featues—and one less thing competing for space. View a snapshot or stream video.